Smart Salmon Salad was our first formal recipe card recipe, and delicious it is. It is nutritious beyond compare, to boot. 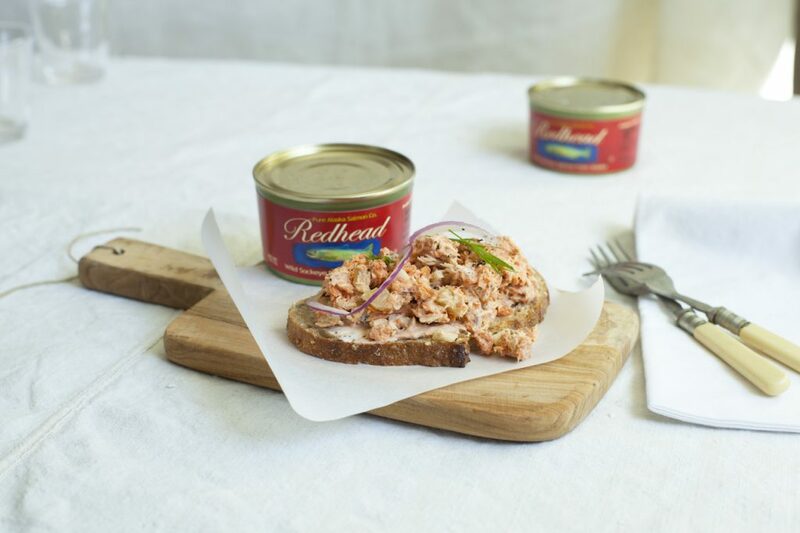 We have tinkered with this recipe which first used tuna. It is great as a dip or as a spread, and it is healthy, healthy, healthy. Don't be put off by the large quantity of parsley or cilantro. Mix all of the ingredients together, including the highly nutritious and edible skin and bone of the salmon; when mixed they are not detectable. We also recommend, when possible, pre-chilling the salmon for best flavor. Serve on your favorite bread or alongside crackers; it is even delicious on its own or on top of your favorite green salad recipe.